The National Baseball Hall of Fame and Museum opened on June 12, 1939 in Cooperstown, New York. Its mission was and is to preserve history, honor excellence and connect generations through memorabilia from the past and present. BRH has worked closely with the collection curators for over a decade performing assessments, treatments, and providing custom mounts for their memorabilia. 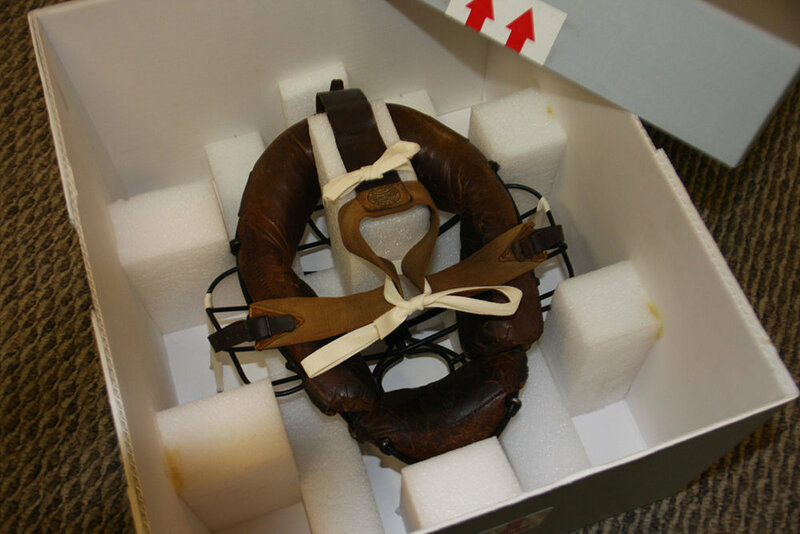 Conservation treatments have been performed on numerous baseball gloves, cleats, masks, leather satchels, carrying bags, textiles, trophies, and balls. Some of the more prominent objects were owned by Ty Cobb, Babe Ruth, Lou Gehrig, Honus Wagner, Joe DiMaggio, Willie Mays, Shoeless Joe Jackson, Roger Maris, and Cal Ripken.